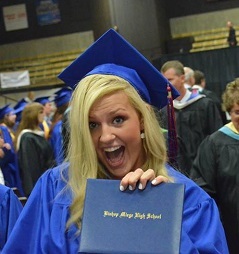 Elyse proudly holds her diploma! 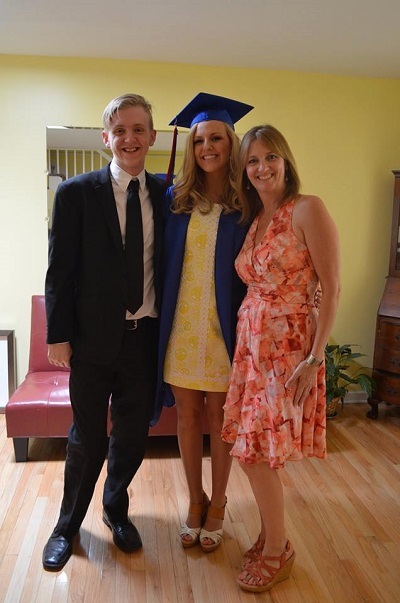 So, my youngest niece, and the youngest of my four nephews and nieces, graduated from high school yesterday. I’m so proud of her as she heads off to KU with scholarship in hand! But it’s so bittersweet as with each year she gets older, it’s each year, month, day that I’ll see less and less of her. Just like it has been with Nick, Katie and Ian. When they were all young, I’d get to be with all of them practically every weekend and in some instances more often. Can an Aunt have empty-nest syndrome? Oh most definitely! I know they still love me but there’s only so much time: they have jobs, responsibilities and now with my great-niece Laura, even children of their own. My nephew Ian, Elyse and my sister-in-law Joanie. Elyse is always such a ray of sunshine, always fun to shop with, go out to dinner with. She’s a magnet for energy and happiness. You cannot NOT have fun when Elyse is around. Yesterday her graduation was fun, she was smiling and cutting up, marching in and out of graduation. She lives in the moment and the future, and while the past has happy and certainly sad memories for her, she moves on, keeping all of us in the moment as well. The picture/poem below is something I put together for the “family ad” in her yearbook. They are all favorite moments I have had with Elyse. From making her that funky puppy dog costume for her kindergarten Christmas pageant, to her beautiful Cotillion photo, they all bring a smile to my face. I’m so proud of her for the young woman she’s become, so proud she’s decided to go to my alma mater and become a Jayhawk and so proud I’m her aunt and she’s my niece. Congratulations Elyse, I love you so much! 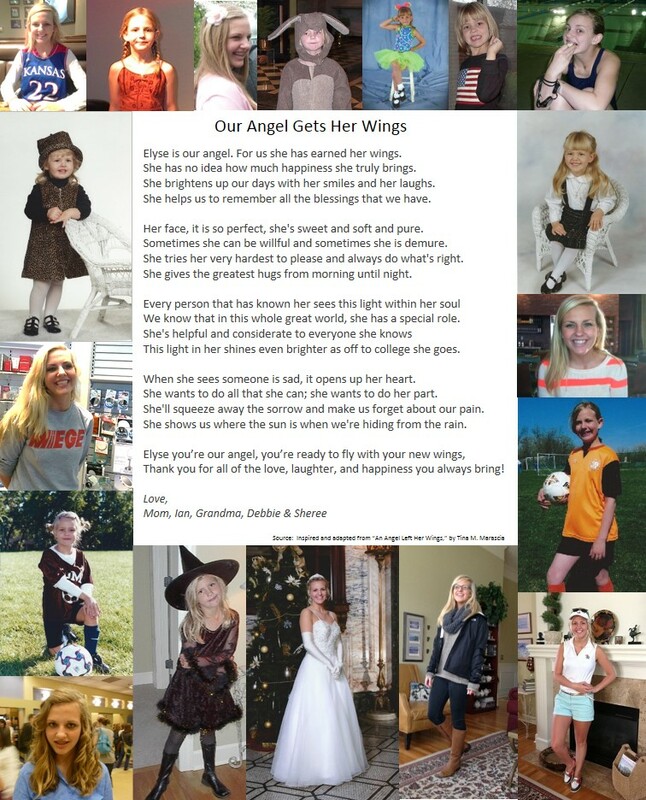 The yearbook “ad” or tribute for Elyse.